The Gift of Truth, Inc.: Choose to Live Victoriously! While driving to work this morning, a song by The Williams Brothers came on and inspired this post. The words to the song are, "I've seen too many victories, to let defeat have the last word." I have heard this song numerous times before but words really resonated in my spirit today. Why do we live in defeat when God has given us the victory? Why do we doubt God when he has never failed us before? These were all of the things that came to mind while listening to this song. The awesome thing about God is that he never fails us. Just look at his track record! He might not do what we want him to do but he always does what is best for us. Sometimes we have to take a moment and reflect on all of the things God has brought us through to make it through our present situation. This is the beauty of the bible...it chronicles of the awesomeness of God...The Red Sea, Jonah and the fish, The woman with the issue of blood, and so many others! God has proven himself over and over again so it's up to us to choose to live victoriously. If he did it before, he can do it again! 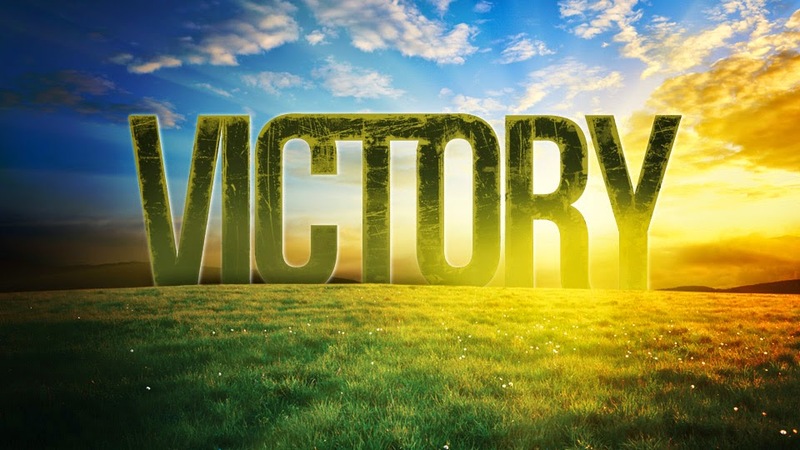 Victory belongs to you!